The Food and Agriculture Organization of the United Nations (FAO) predicts a 60% increase in global demand for food by the year 2050, so the agriculture industry must overcome productivity obstacles behind agriculture innovative technologies and new practices. Crop-spraying drones are one of the solutions to help the region to move towards embracing smart agriculture that can spray pesticides to prevent the spread of plant diseases. 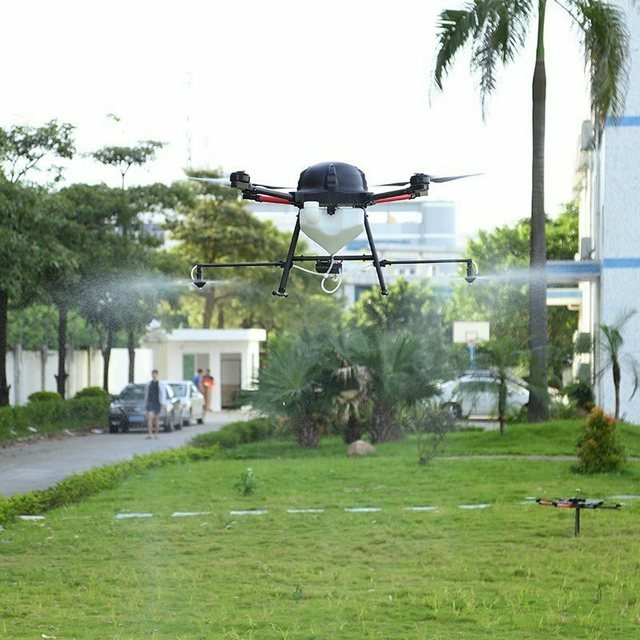 Spraying pesticides by using drones is the innovative technique used for agriculture development. 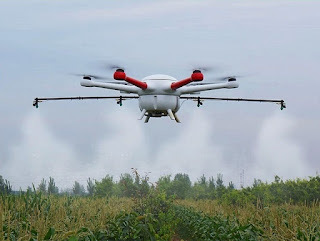 Drone technology based unmanned aerial vehicle (UAV) has the ability for smooth scouting over farm fields, gathering precise information and transmitting the data with real time observational technology to generate insights on the density of photosynthetically active biomass, identify problems so farmers can generate bigger yields. This capability could be used for the benefit of farming sector at regional, local scale for assessing land and crop health; extent, type and severity of damage besides issuing forewarning, post-event management and settlement of compensation under agriculture insurance schemes. 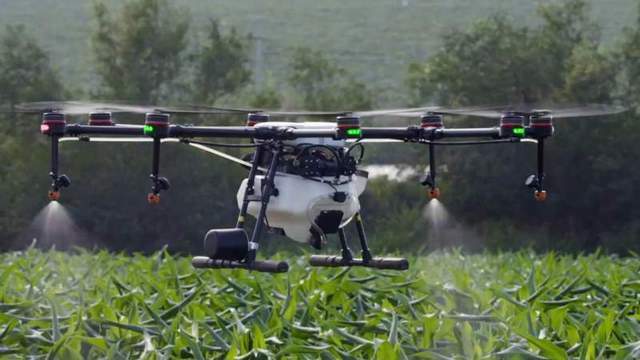 Drones are used to spray pesticides to prevent the spread of plant diseases. 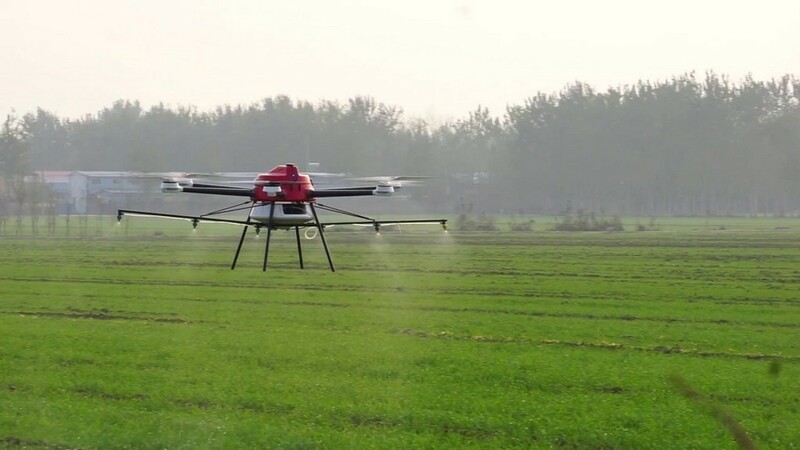 By using the crop-spraying drone is claimed that it is 40-60 times more efficient than manual spraying. The drone also helps to check the number of fruits ready to be plucked from each plant. The interest in drones for agricultural crop spraying continues to grow as does the corresponding options for drone platforms increases. From the Yamaha Fazer R UAV helicopters that have serviced Japan for more than 20 years to DJI’s premier intelligent multicopter, the MG-1S. Here are top crop-spraying drone options from around the world. 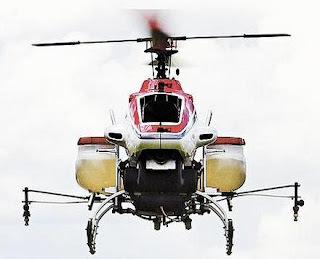 New unmanned aerial vehicles named FAZER R was announced by leading company Yamaha Motor Co. Ltd specially designed for the agricultural sector, having ability to spray chemicals over four hectares of land without the need to reload or refuel. First launched in November 2016, the FAZER R features a class-leading maximum 32 L agrochemicals payload, allowing the spraying of approx. 4 hectares without reloading chemicals or refueling. This updated 2018 model retains the strong base functionality of the original, with easier operation and further improvements in spraying accuracy. The DJI Agras MG-1 is an octocopter designed to spray large areas of farmland with pesticides or fertilizers. The combination of speed and power means that an area of 4,000-6,000 m² can be covered in just 10 minutes, or 40 to 60 times faster than manual spraying operations. The powerful propulsion system enables the MG-1 to carry up to 10kg of liquid payloads, including pesticide and fertilizer. The DJI Agras MG-1 is smart enough to regulate its spraying depending on how fast it’s going, and has been designed to handle rough treatment and all weather conditions – great news for farmers. The intelligent spraying system automatically adjusts its spray according to the flying speed so that an even spray is always applied. This way, the amount of pesticide or fertilizer is precisely regulated to avoid pollution and economize operations. Traditional agricultural spraying still requires manual operations with high labor intensity, low pesticide efficiency (reach), and high pesticide poisoning threat to the farmers and workers. 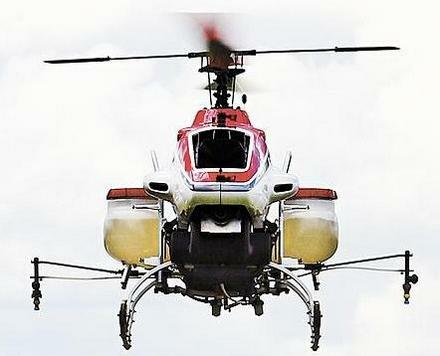 The crop-spraying drone can help doing farmer's job. The GAIA 160-AG Drone which can be controlled sitting in the shade, can evenly spray pesticides. 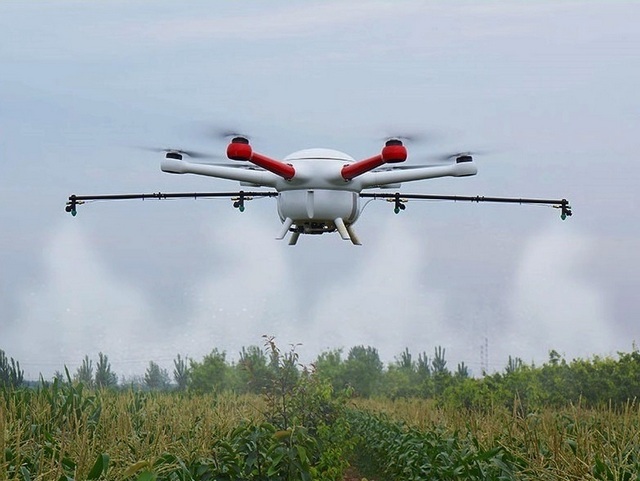 This GAIA 160-AG Drone is equipped with a 2.8 meter long tube with four nozzles. The new water-saving nozzles could save the pesticide and improve the efficiency of spraying at the same time. This GAIA 160-AG Drone has a grid pesticide container which can prevent the liquids sloshing in the flight. The capacity of pesticide tank is 23L and its max flying weight is up to 50kg which ensure long spray time and larger area coverage until around 5ac (20,000 m2) spray area in one take-off only. The propeller vortex can help the GAIA 160-AG Drone evenly spraying the pesticide on the front and back of the plant leaves. In their solution, liquids sprayed by drone is spread evenly and in higher concentrations. The whole design makes it not only look beautiful but also able to lift heavy weight without hesitation. With its foldable design and high capacity of 10L, MMC F4 is easy to carry and extensive in usage. Automatic landing, GPS hovering, automatic return, waypoint flight, and other functions make MMC F4, very easy to operate. The MMC F4 intelligent pesticide control system saves 30% pesticides usage comparing to the manual methods. With dispersion atomizing nozzle from the USA, the spray area reaches 3m in width and a single flight can cover 2.5 acres of farmland. This is 40 times more efficient than traditional agricultural spraying. More importantly, MMC F4 integrates industrial UAV tech and Chinese manufacturing advantages to set up service centers in the local countries. MMC F4 Agricultural program greatly reduces the cost for machinery, making it affordable and reliable for farmers. 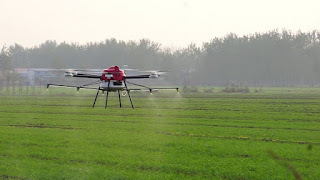 Currently, the large scale usage is applied in rice and vegetable pesticide spraying in South Korea, rice pesticide spraying in China, and grape pesticide spraying and pollination in New Zealand. RJX Agricultural Sprayer UAV Drone explores the advanced sensors and imaging capabilities of drones that give workers new ways to increase yields and reduce crop damage. The capacity of pesticide tank is 10L/10000cc and its max flying weight is up to 23kg with working hours during 15-25 minutes. 1 Response to "Crop-Spraying Drone Options for Agriculture Development"